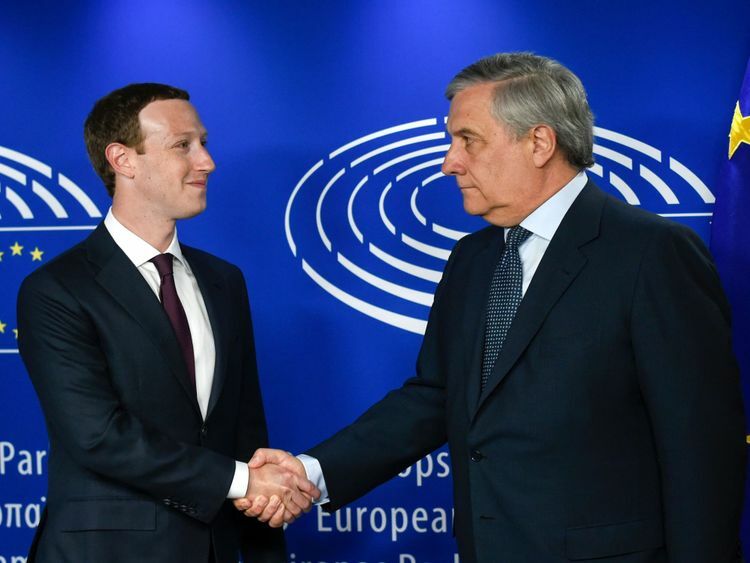 Mr Zuckerberg was speaking to European Parliament members in Brussels as he defended the world's largest social media platform. Cambridge Analytica used Facebook data to build psychological profiles on millions of people, including 2.7 million from the EU.Facebook has since tightened its privacy restrictions and Cambridge Analytica, which always denied any wrongdoing, has since announced its closure.Mr Zuckerberg told European politicians it had "become clear over the last couple of years that we haven't done enough to prevent the tools we've built from being used for harm as well".He added: "Whether it's fake news, foreign interference in elections or developers misusing people's information, we didn't take a broad enough view of our responsibilities. "That was a mistake, and I'm sorry." Also, the format in Brussels, whereby the politicians asked all their questions and his responses were left until the end, left many of his questioners unsatisfied. One of those who was not satisfied was MEP Nigel Farage, who had asked if Facebook was a "genuinely neutral political platform".He said: "Since January this year you've changed your modus operandi, you changed your algorithms and it has led directly to a very substantial drop in views and engagements for those that have got right-of-centre opinions. "Just look at President Trump's numbers; on a much smaller scale, look at mine, look at thousands of other conservative commentators. On average we're down about 25% over the course of this year. "Mr Zuckerberg said in reply: "We're a service that allows for a wide variety of political discourse, we view that as a big part of our responsibility. "I can commit to you here today that we have never and will not make decisions about what content is allowed or how we do ranking on the basis of a political orientation. 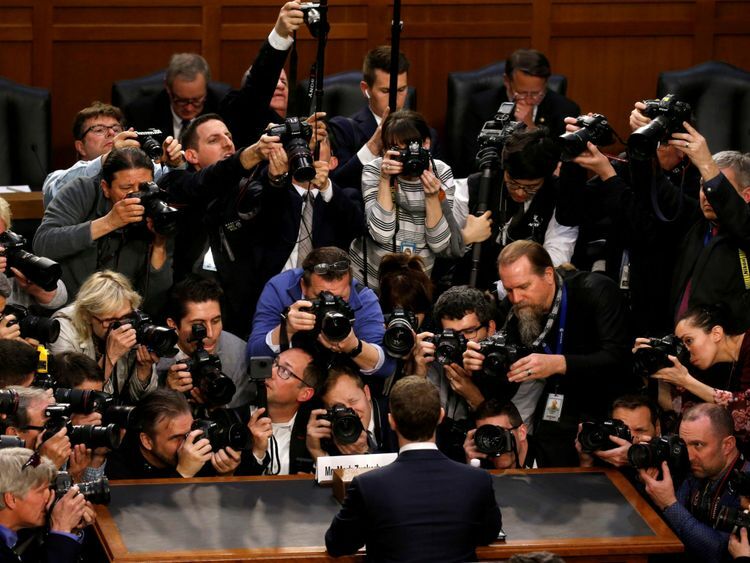 ":: Sky Views: Facebook - the modern FrankensteinMr Zuckerberg's words come three days before strict new EU rules on data protection take effect, with companies risking fines of up to 4% of global turnover for breaching them. He said Facebook expects to be compliant when the rules come in on 25 May.Mr Zuckerberg has declined to appear in front of British lawmakers.